And if all others accepted the lie which the Party imposed -if all records told the same tale — then the lie passed into history and became truth. ‘Who controls the past,’ ran the Party slogan, ‘controls the future: who controls the present controls the past.’ And yet the past, though of its nature alterable, never had been altered. Whatever was true now was true from everlasting to everlasting. It was quite simple. All that was needed was an unending series of victories over your own memory. ‘Reality control’, they called it: in Newspeak, ‘doublethink’. It’s amazing how any reporter can cover the deepening economic crisis in Venezuela without saying a word about how the country got there. But Associated Press reporter Hannah Dreier was up to the task. In a bizarre, sickening November 20 report on how its people are having to get “creative” in the face of chronic shortages of basic goods to get by, she acted as if those shortages — and the over five decades of worse problems in Cuba — somehow just happened. Among Hugo’s “dream” you could count the Bolivarian [un]sanitary napkin. 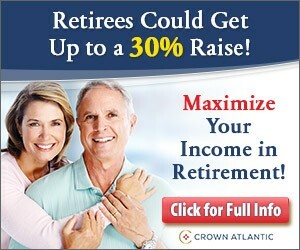 I suggest Dreier try those. 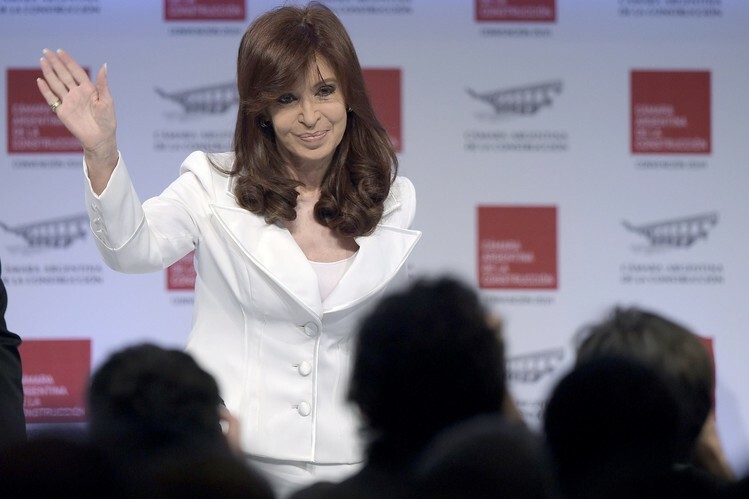 Argentina: Investigate Cristina, get impeached? Last week, federal agents raided the office of the Kirchner family hotel company, Hotesur, as part of an investigation by Federal Judge Claudio Bonadio into allegations that the company hasn’t filed financial statements for years. Investigators said that when they arrived at Hotesur’s registered headquarters in downtown Buenos Aires, they found abandoned office space. Since the raid, the government has issued scathing attacks on the judicial system, saying Judge Bonadio is overreacting to a minor matter of missing paperwork. Congresswoman Margarita Stolbizer filed a criminal complaint against Kirchner and Lázaro Báez, a longtime family friend and business partner of the Kirchner, amid allegations of money laundering. The only people with the right to object to immigration are Native Americans: read more at Da Tech Guy Blog. 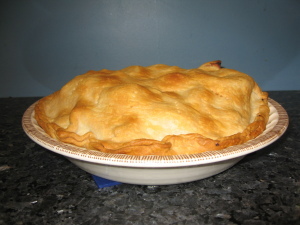 Read my notes On thankfulness and apple pie, with recipe here. With the vast majority of America’s 11 million illegal Mexican citizens — who flee their country’s corruption, poverty, low growth, rampant crony capitalism and embedded socialism — protesting over the past decade against getting sent back there, Pena Nieto ought to be embarrassed to show his face in public. Fact is, the Obama amnesty highlights the awful failure of Mexico as an economic entity that can’t even create an acceptable place to live for a large number of its citizens. Two-thirds of the eligible beneficiaries of the Obama amnesty — 3.2 million people — are Mexican nationals who will benefit from the presidential decree, according to the Pew Hispanic Center. They’re the longest-term residents, and nothing they’ve seen in Mexico over the decades has enticed them to return. Mexico, according to the State Department’s country page, experienced average GDP growth of just 1.9% from 1960 to 2011. Income per capita in the same period has risen an average of even less, at 1.8%. By contrast, Mexico’s labor force has grown an average of 2.2% since 1998 and more than that in the longer run. An average of 54,000 jobs have been created in each of the past five years, while its labor force has grown by about 224,000 a year over the same time, according to CIA World Fact Book and World Bank data. What’s more, productivity gains have been low, with none lower than in those states that ship the most illegals — Zacatecas, Michoacan, Guerrero, Durango, Chiapas and Oaxaca, according to OECD data. Unable to employ anywhere near the number who need jobs, it’s no surprise that 58.8% of Mexicans are underemployed or in informal off-the-book employment in the struggle to survive. Faced with that struggle, millions just head north to America. Tangled tax laws, overregulation, corruption and an unstable currency have all had their hand in the substandard growth that has not kept up with population. Add to that the ruinous criminality, which has caused the death of hundreds of thousands. But perhaps Peña Nieto is right to gloat: the U.S. government has done what he wanted, to provide – for the foreseeable future – an escape valve for internal pressures that would otherwise require him to act on. High hopes, we’ve got high hopes . 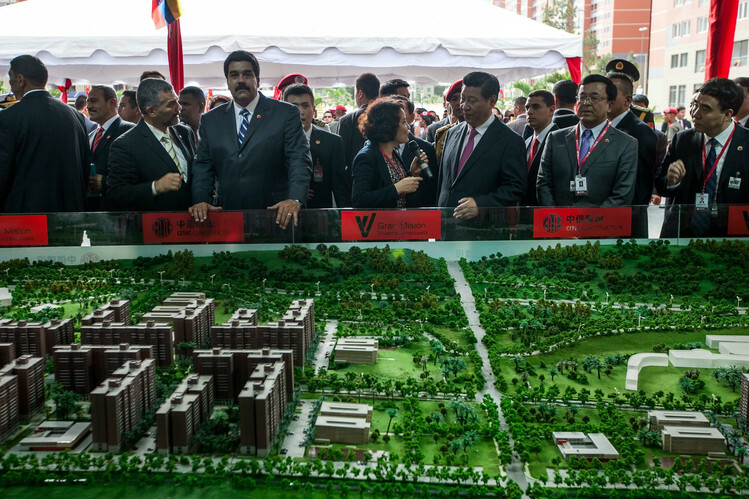 . .
Last week the president [Maduro] used a $4 billion Chinese credit, traditionally earmarked by the Chinese government for infrastructure projects and held in off-budget funds, to increase reserves to $23.2 billion. China also recently lent $1.3 billion to help Argentina buoy falling reserves, giving President Cristina Kirchner , a close ally of Mr. Maduro, a cushion to help alleviate that country’s cash crunch. Beijing’s largess may appear irrational given economic policies in Venezuela and Argentina that do not appear sustainable, said Barbara Kotschwar, a scholar who tracks Chinese investment in Latin America at the Peterson Institute for International Economics in Washington. the meaning of “secure” may be more fluid than we believe – and not only for the short term. 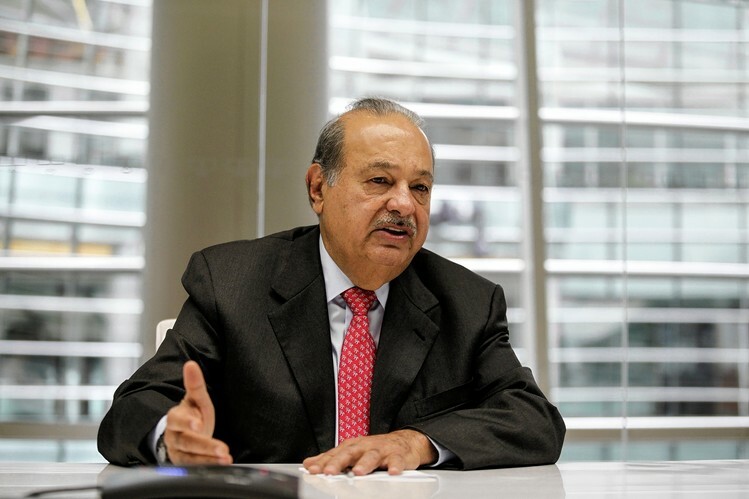 Carlos Slim, best known in the USA for his Obamaphones, and who was bidding for Univision earlier this year, is looking to diversify. A Panamanian judge has ordered an embargo on the local assets of Mexican billionaire Carlos Slim’s infrastructure company in a legal dispute over a concession to build and operate a hydroelectric plant. Slim’s Ideal also operates toll roads, water projects and public transport terminals in Mexico. A commenter at the WSJ mentions that “had the exact same thing happen to him after he bought Comp-USA almost fourteen years ago now.” Here’s a link to that story.